There is a crisis in the world of electric guitars. A distinct lack of new guitar heroes means that acoustic guitars are beginning to outsell their noisier relatives. 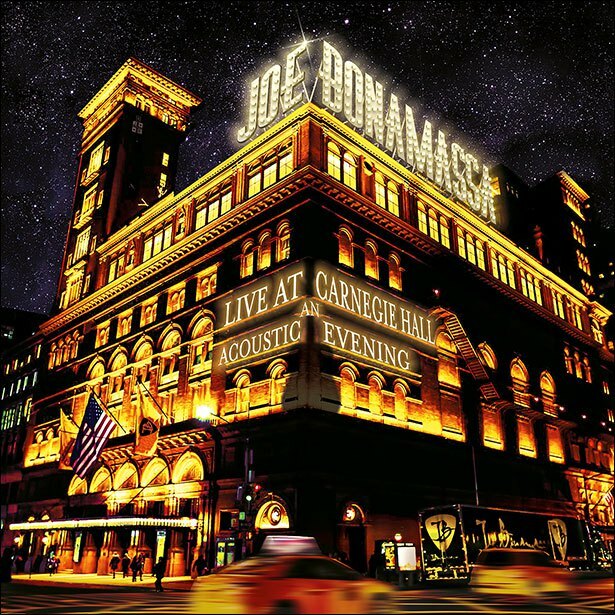 Joe Bonamassa can do the full plugged Stevie Ray or Jimi routine but for his new CD and DVD he cuddles a selection of acoustic guitars and creates new, exciting, innovative delightful and subtle music. The band surrounding him are unusual for a fully fledged young rock star, there is Eric Bazilian a mutli instrumentalist who plays mandolin, saxophone and hurdy gurdy and prominent in the mix is Tina Guo a very theatrical Chinese cellist. This music is offered on CD, DVD, Blu Ray and vinyl. Something for everyone as the video formats offer 5.1 sound options. If you are unsure that you will enjoy the album (or video), listen to ‘The Valley Runs Low” – terrific!